tulsa wedding venues | Daddy Will You Dance with Me? Tulsa wedding venues have witnessed many beautiful father/daughter dances over the seasons. Though many aspects of weddings have modernized significantly, it is one of the oldest traditions and still a favorite among many. If you’re unsure how this tradition began, here is a little history lesson for you. 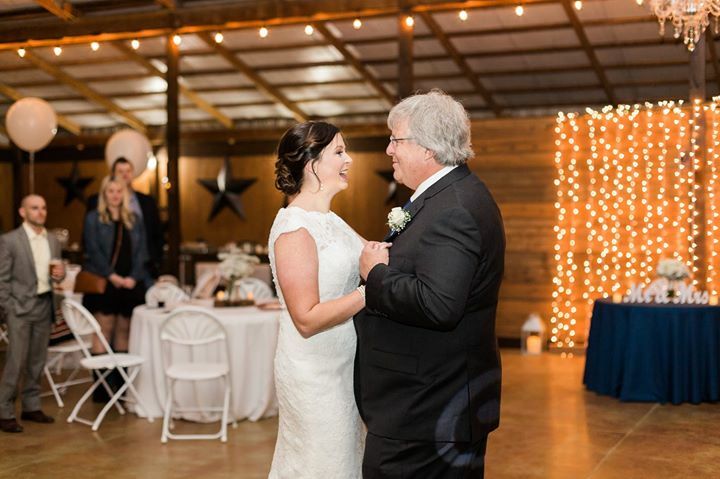 This special dance was originally (https://www.brides.com/story/wedding-traditions-debunked-father-daughter-dance) formed as a continuation of the giving away of the bride where the father would dance with his daughter even before the bride and groom’s first dance. Thankfully, as times change we have modernized and adapted traditions like this to fit our own family circumstances. Many brides don’t have that father figure in their life, or have already lost their fathers. What about mother/son dances and dancing with your new in-laws. Those are just as important! The best part about weddings in this day in age is that we are free to plan them however we choose, with as much or as little tradition as we desire. If you want to incorporate a bit of this old tradition into your wedding reception, there are many creative ways to do so. Here at White Barn Events, a favorite Tulsa wedding venue, we have seen everything. Doing a traditional father/daughter dance is classic and always a favorite with many. If you want to spice it up have your father pass you to your groom halfway through the song. This can act as another representation of your father literally passing you on to the new man in your life. What about all the mothers out there?! Don’t forget the moms, they are just as significant as the fathers out there. A mother/son dance is just as sweet and is appreciated by many. Here are some great suggestions for you mother/son dance (https://www.theknot.com/content/mother-son-wedding-songs) . You can have all immediate family relations out on the dance floor during the same song. Father/daughter, mother/son, or any other way you choose to pair up those important people in your life. Involve the guests! Even though it is special to watch for the guests, some people choose to directly involve the guests during these special moments. One way to do this is to pick out a new guest in the crowd each time something happens in the song so the dance floor is crowded at the end. Some people feel awkward dancing in public, or being the first out on the dance floor so this is a creative way to get everyone involved and have fun while doing it! Who says you have to incorporate a form of this tradition into your wedding? No one that’s who! Many brides choose not to have these dances be a part of their wedding and that is perfectly ok. 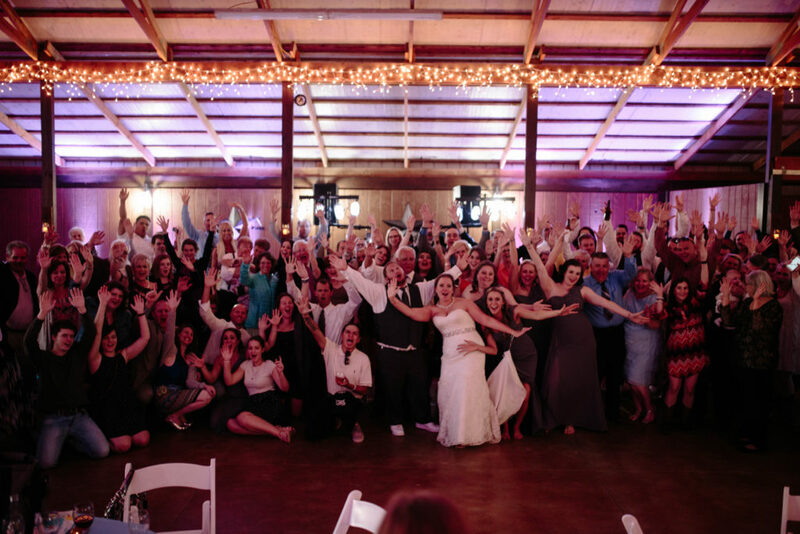 It is very common at Tulsa Wedding Venues to not have any part of this tradition be a part of your wedding reception and that is just as beautiful! These significant dances can be use to honor any special person in your life, it doesn’t just have to be mothers and fathers. Many don’t have the option to have biological parents be a part of your big day so you can use this as an opportunity to honor any significant people in your life. https://www.brides.com/story/do-we-have-to-have-first-mother-son-and-father-daughter-dances Remember that it’s your wedding and there is no wrong or right way to do things. Make sure you do what you want for your special day. Whatever you decide it will be beautiful. 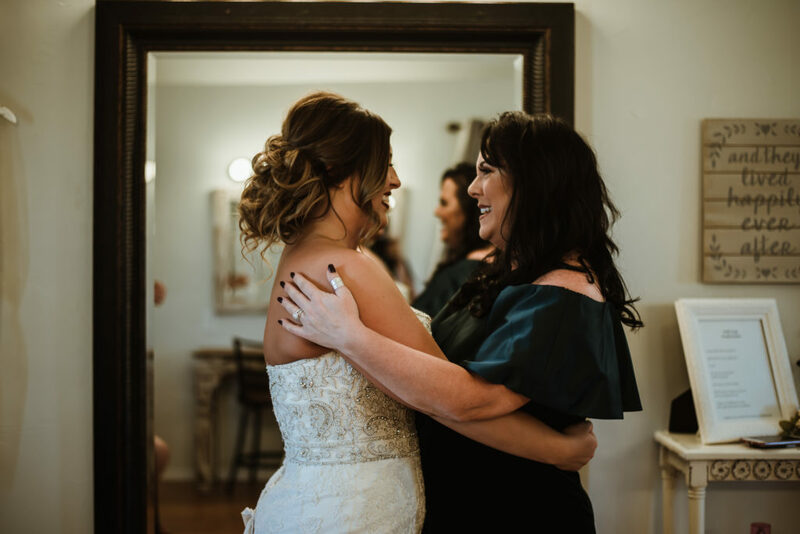 ⟵Outdoor Weddings and that Oklahoma Wind!